The Constitutional principle that everyone is entitled to the presumption of innocence until proven guilty beyond a reasonable doubt is often misunderstood and is often the subject of conversation with. I often get questioned as to how someone could be charged with a crime for which there appears to be little evidence or why they need to post bail to stay out of jail pending trial if they are presumed innocent. The constitution does not specifically say that an individual is entitled to the presumption of innocence; rather this concept is rooted in the due process provisions of the Constitution and in Common Law. I don’t usually point this out because I don’t want a debate, but I do explain that the presumption of innocence does not apply until trial. Until then, the question is whether there is a reason to believe a person MAY have committed a crime. This is often a difficult conversation to have with a client, especially one who has little experience with the criminal justice system or has an unrealistic view of how the criminal justice system treats those charged with a crime. Most people just don’t understand how little evidence is necessary to be arrested and ushered towards a trial date. Until a case gets to trial, the threshold to have someone arrested is merely probable cause which is, as previously stated, a reason to believe a person may have committed a crime. An arrest can be made based on a simple accusation and often without ANY physical evidence. Bail is then set in order to secure a defendant’s appearance and to protect the public. At neither point is it necessary for a police officer or judge to consider whether there is proof beyond a reasonable doubt or whether an accused has a defense to the charge. It should be noted that enormous government resources are available to achieve a conviction. The government has professional witnesses and investigators in the police. The government employs professional experts to testify regarding all manner of evidence from fingerprints to drug testing. The government has the prison system to warehouse those accused that can’t make the bail set by government employed judges. Meanwhile, an accused only has those resources he can individually afford, be it an attorney, expert witness or investigator. Of course, if the accused doesn’t have the resources, he has the underfunded and overburdened public defender’s office available. When an accused appears at arraignment, he can plead guilty or not guilty and request a trial. Once again, there is no opportunity to defend the case or provide an explanation at this stage. After the arraignment, there is usually a stage called a case review where an accused can try to negotiate a resolution, usually with a plea to a lesser charge. In smaller cases, this often happens on the same day as the trial but once again, there is no presumption of innocence. In fact, just the opposite; Prosecutors usually assume the accused is guilty and offer a plea simply to move the calendar along. After all, the accused has been arrested, bail has been set, the police have provided the prosecutor their report and the case is moving towards trial. 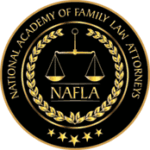 Although most prosecutors try to give an objective assessment of the case in order to give a fair plea offer, it is hard for them to escape their predisposition that the accused is probably guilty. Prosecutors must also justify their decisions to superiors, victims and the police which create a reluctance to simply dismiss cases even where the evidence is weak. This creates a real disincentive to dismiss a case even when the case should be tossed. It is often easier to go to trial and lose than convince others of the reasons a case should be dismissed. After all, they may get lucky and get a conviction anyway. Finally, once an accused reaches trial, the presumption of innocence comes into play. At this point, an accused finally is entitled to have the case proven against him. Unfortunately, the makeup of most juries is not an advantage to an accused. If a juror has had a bad experience with the criminal justice system, they are usually excused. If the potential juror has a criminal history, they will be excused. If the juror has a bias against the police and it is discovered, they will be excused. This creates the unfortunate situation where most jurors, at least unconsciously, assume there must be a good reason why the accused was arrested and is facing trial. They haven’t had any experiences to have them question their trust in the police and the criminal justice system. This is also why criminal defense attorneys spend so much effort trying to get juries to understand the presumption of innocence is the required starting place. Only when the state has removed that presumption by presenting evidence that removes all reasonable doubt should a jury reach the decision to convict. It is a tall order for an accused to get a juror to apply this standard but it is necessary. Only a jury stands between an accused and conviction at the hands of an unrestrained government and police.